Q. We know that white people are generally healthier than blacks and Latinos. Does your study of 3,100 Chicago residents suggest that stress explains that difference? A. We’ve known that income and education is a big piece [of racial differences in health], and we’ve assumed that stress is a big piece of it. But that hasn’t been empirically tested with a large range of stressors. That’s what we did in this paper. Q. And what did you find? A. For all the three racial groups we studied, every additional stressor is associated with poorer health. Stress matters for health. Q. This held up across all the racial groups? A. The pattern was a little more complex than we might have anticipated. We separated Hispanics into US-born and foreign-born. What we found is that foreign-born Hispanics look very much like whites on both their health status and levels of stress; whereas US-born look very much like African-Americans. Q. Does that suggest that stress caused by racism is at the root of the health differences? A. That’s a part of it. But it’s stress much more broadly than just racial discrimination. Three types of stressors had the biggest negative impact: financial stress, relationship stress — that’s stressors in marital relationships, in dealing with children, as well as conflicting with friends — and then the major life events, like death of a loved one, life-threatening illness, unemployment. Q. So, this is a problem we all face, regardless of race? A. There’s a sense of urgency that the black and Latino community need to approach these findings with. [But] the effects of stress on health were uniform across racial and ethnic health, so it matters for all of us. Q. You say we need to pay attention to the stresses on individuals. How do you think we should do that? A. We need to give individuals the resources to cope with stress. Many of the safety nets that our society traditionally has — unemployment benefits, housing assistance — can ease the impact of financial stress. There are policies that could be implemented in workplaces that could reduce the levels of stress that individuals face. [For example, the US is less supportive than other nations] on a range of work-family support programs, like time off work for illness of a child or family member. Q. What about your own life? You must be under a lot of stress. A. I would say my life is stressful, because I am very busy and overcommitted in multiple ways. [But] as a senior professor at Harvard, I have the luxury of having enormous discretion in terms of how I manage or monitor those demands. You contrast what I am able to do compared to someone who works on an assembly line: Both of us may have great demands, but I have more discretion and more control. I have more resources to cope with stress. Q. Do you have time to take good care of your own health? A. I make time. It’s something my father said to me when I was a little boy. If I was supposed to do something and I said I didn’t have time, he’d say: “you never have time, you have to make time if something’s important.’’ I do exercise regularly and do try to ensure that I spend time with family and plan time for relaxation. To me it’s a matter of establishing priorities and thinking of what’s important. That’s a constant balancing act. Q. What’s the message people should take away from your research? A. All of us can play a more active role in improving our own health as well as the health of others. 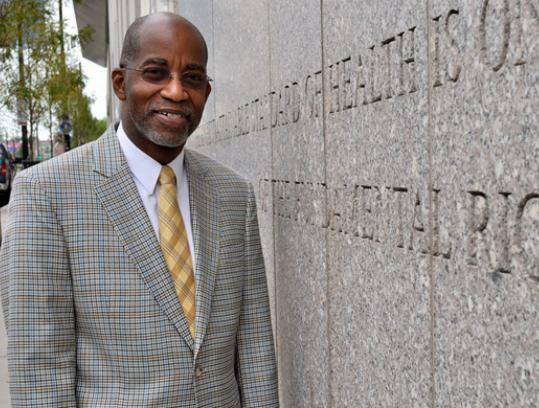 Williams, the Norman professor at the Harvard School of Public Health and a professor of African-American Studies at Harvard, has just published a new study on stress, race, and health. Research once suggested that hormone replacement medication could be harmful for women. Now, a new study says it may be beneficial for some patients.